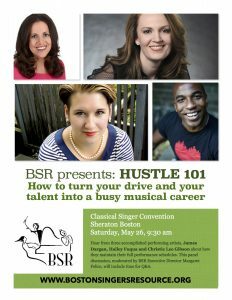 In her role as Executive Director of Boston Singers' Resource, Margaret will moderate a panel discussion titled Hustle 101: How to turn your drive and your talent into a busy musical career. The panel will feature three accomplished performing artists, James Dargan, Hailey Fuqua and Christie Lee Gibson, discussing how they maintain their full performing schedules. Margaret will speak and sing at Advent by Candlelight at St. Margaret Mary Church in South Windsor, CT.